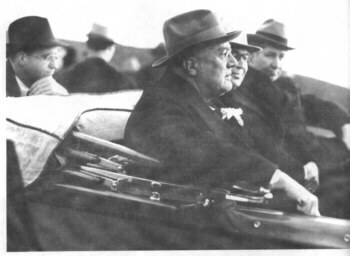 Franklin Delano Roosevelt knew much about what it was like to be popular. Had he ever experienced lingering doubts about his popularity as president, though, the solution would have been to hop on the train and visit Fort Peck Mont. in the 30's. For FDR was a savior whose mere signature put nearly 11,000 depression-bled workers on a payroll, thereby allowing thousands of families-not to mention thousands of merchant, landowners, and saloon keepers-to eat once again.